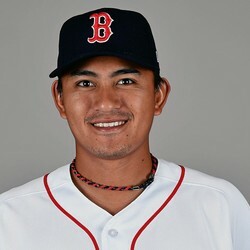 Tzu-Wei Lin went 0-for-3 on Sunday vs the Athletics. He lined out to the shortstop, fouled out to the catcher, and struck out swinging. Lin started off hot for the Red Sox, but has gone hitless in his last three games played. With Bogaerts set to return from the disabled list next week, it is all but certain that Lin will be sent back down to the minors. He was inconsistent at the plate, but was a phenomenal defender. Don't be surprised if Lin gets called back up later in the season.